To serve the professional community by providing consulting services for the assessment and enhancement of current processes and practices at college and employer sites. 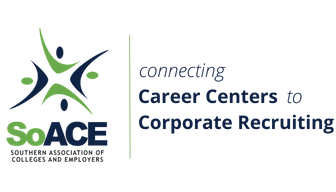 Each SoACE consulting team typically consists of three to five representatives from career centers and/or employers. You may request specific people for the team or the Chair of the Consulting Services Committee will offer advice based on the expertise and location of volunteers. How progressive is our organization? What does our organization need to do to make it or keep it cutting edge? What should be done or eliminated in order for us to be more efficient and effective? If the office is efficient and effective, how can it remain so for the next 5 years? GAP Analysis: Examine and compare actual performance with potential performance. Cost Benefit Analysis: Determine break-even points for increased investments in products, services, resources and staff offerings. Benchmarking Analysis: Compare current practices with world-class business practices that may improve organizational synergy and operational efficiencies. Quality Functional Design Analysis: Using House of Quality, focus on customer requirements in coordinating the design, implementation and marketing of products or services. Timeline: to ensure enough time for planning the site visit, please allow 3 months (6 is ideal) of planning time before the proposed site visit date. Proceeds are used to further develop scholarships and activities for SoACE members. The Team Leader supervises the team and collaborates closely with the person requesting the consultation to set goals and an agenda for the visit. He or she also ensures completion and satisfactory delivery of the final report. Travel and business expenses for the visitation team are also covered by the requesting institution. Smaller honorariums to the other team members are a kind gesture but are not required.